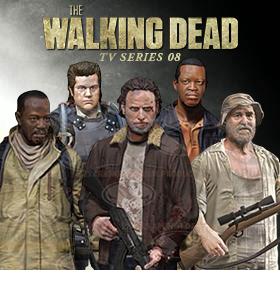 Toy Nippon: BBTS News: Spring Sales, Walking Dead, Warbotron, DBZ, Acid Rain, Gundam, Sailor Moon, Arkham Knight & More! 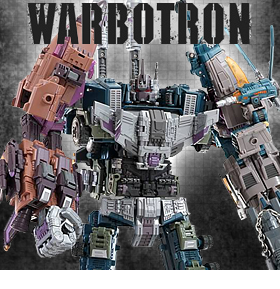 BBTS News: Spring Sales, Walking Dead, Warbotron, DBZ, Acid Rain, Gundam, Sailor Moon, Arkham Knight & More! 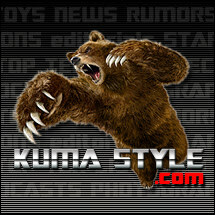 We have just listed some cool items from Bandai Japan. 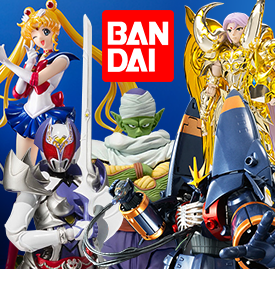 This list features a restock of the fan-favorite Figuarts Piccolo as well as Aries Mu God Cloth from Saint Seiya ‘Soul of Gold’, Sailor Moon Crystal from the new hit anime of the same name, Ultimate Gohan from Dragon Ball Z and GX-34R Gunbuster Buster Gokin Color. 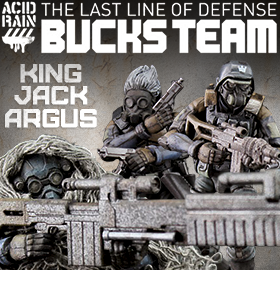 With over 20 new items in this menu, you are sure to find a great addition to your collection! Robot Spirits Metal Armor Dragonar series begins its line-up with the leading Mecha from the latter half of the series, Dragonar 1 Custom! Dragonar 1 Custom's design is based on an illustration by famous Japanese anime director Masami Ōbari. Extreme attention is paid to the small details and articulated joints. Use the weapon accessories for the ultimate action poses! Accessories include a handrail-gun, assault knives, and laser swords as well as laser sword handles, super hybrid shield, 3 interchangeable hand parts, and interchangeable antenna. The Set of 4, 1/2500 scale pre-painted snap-together kits is listed for $69.99 and includes the U.S.S. Enterprise NCC-1701, Klingon D7 Battle Cruiser, U.S.S. Reliant and U.S.S. Defiant; and the U.S.S. Enterprise and the U.S.S. Reliant are available for $17.99 each. We also have a 1/537 Scale U.S.S. Enterprise Cutaway model kit for $44.99. Figuarts ZERO is celebrating its 5th anniversary with a special line-up of stunning new One Piece statue figures. Joining the gang is Luffy’s adopted brother, none other than "Fire Fist Ace"! Clear material is used in the flame effects and hair to create a dynamic quality and meticulous detailing adds depth and realism throughout. Display Ace with or without his hat or pose him with the recognizable ‘dodonn!’ comic sound-effect plates! Set also comes with special display base and stand for the sound effect plates. Radiator Springs’ finest are racing into the Funko Pop! lineup with Lightning McQueen, the hero of Pixar’s Cars and his best friend Mater; crew chief, Doc Hudson; and mechanic artist, Ramone. No raceway is complete without them! Vroom, vroom!! With Blueprints paper craft, kids can connect with their favorite heroes, scenes and settings by re-creating the entertainment at home, all from high-quality paper. Whether it's detailed figures, vehicles or even entire play environments, Blueprints paper craft is fun to build, and lets kids quickly create their own world. Once the activity is complete, kids can then unleash their imaginations as they play and create all different scenarios with their favorite characters. We have the Millennium Falcon Adventure Pack for $19.99 as well as 12” Darth Vader, Han Solo, Chewbacca, Stormtrooper for $7.99 each; and the Droids on Tatooine Desert Pack for $13.99. A wise and learned Dwarf, Oin is a seer, prying meaning from portentous events and signs. Though long in the tooth and increasingly hard of hearing, the elderly Dwarf is nonetheless strong in limb and swift of arm, wielding his battle staff with a proficiency and might to match his younger companions. In an effort to mitigate his failing ears, he carries with him a brass ear horn. This pre-painted PVC figure requires some assembly and stands over 12 inches tall and 17 inches long. Based on the designs from the 2014 film, this Godzilla figure is a must have for Godzilla fans and collectors. We have just added a bunch of new puzzles, lunchboxes, playing cards and other items from Aquarius Posters. This list features 1000 piece puzzles of fan favorite DC Comics heroes like Batman, Superman and Wonder Woman for $14.99 each; horror fans can show the love for their favorite film by carrying their lunch in a Nightmare on Elm Street, Friday the 13th, or Texas Chainsaw Massacre lunchbox for $12.99 each. Don’t forget to look for a deck of cards from properties like Transformers, Star Trek, Beetlejuice, DC Comics, and Marvel Comics. Customize your 1/6 scale military figure collection with this uniform collection and have a complete US Navy Flight Deck Crew (figures not included). Choose from Aircraft Handling Officer, Catapult and Arresting Gear Officer, Catapult and Arresting Gear Crew, Air Wing Plane Captain, Ordinanceman, and Aircraft Handler. This figure stands over 9 inches tall in robot mode and converts from space shuttle to train to robot. No parts need to be detached to convert it form mode to mode. This figure contains die-cast metal parts, the waist is twistable and the wheels rotate. Seven years in the making, this long-awaited action figure is the definitive version of the original Dante, the one who started it all. The half-demon demon hunter from Devil May Cry stands nearly 7" tall, with over 35 points of articulation. Dante is extra-detailed, down to his trademark trench coat, which features a dynamic, wind-shaped sculpt. The figure is loaded with accessories, including Ebony and Ivory pistols with removable muzzle bursts, Dante's sword Alastor, shotgun, and interchangeable hands. Dante comes in deluxe window box packaging with opening flap that recreates the look of the original video game box. Kids Nation series T-03 figures are 3.5 inches tall and feature detailed sculpture and paint application as well as LED light up eyes. The Five Pack includes Megatron, Wheel Jack, Smoke Screen, Jazz, and Iron Hide and is listed at $119.99. We also have the Gold Megatron for $24.99. This limited edition two pack includes Vincent Price's Egghead and Burgess Meredith’s Penguin as 8 inch Mego-style action figures. 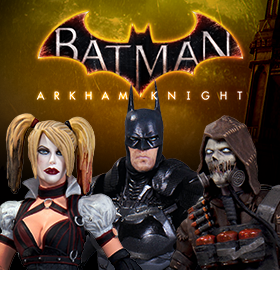 Featuring over 15 points of articulation and their classic costumes, this set is a must-have for fans of the classic Batman 1966 TV series! Hot Wheels and Star Wars have joined forces! Kids and collectors alike will love seeing their favorite Star Wars characters reimagined as Hot Wheels cars. Each 1:64-scale car is individually designed to retain the “Force” of an iconic Star Wars character and combines the thrill and real racing excitement of Hot Wheels. This case of 12 includes Inquisitor, Boba Fett, C-3PO, Chopper, Chewbacca and Darth Vader. This action figure stand comes 5 to a pack. The stands feature a flat black base with an attachable waist clip to help put your figures in various poses. This stand works great with any figure that is 6" - 9" tall. Ceratosaurus Dentisulcatus was around 8-9 meters long, which makes this amazing 1:35 scale replica about 10.50" long. It has an articulated lower jaw like all other REBOR dinosaurs, a polystone swamp diorama base also comes along with the replica, which includes realistic plants, dead trees, mud effect and even a puddle that’s made of transparent resin to create real water effect. Take a trip to Hill Valley circa 1885 in the all-new Back to the Future Part III Time Machine! This updated version of the classic vehicle design includes time-traveling lights and sounds plus a new "Old West" look complete with home-made hood components - just as seen in the epic finale of the Back to the Future trilogy! On your next Dragon Age quest, why not keep your companions in your pocket? The legendary video game series kicks off an epic line of Minimates with this debut four-pack featuring the Grey Warden Alistair; the bard, Leliana; dwarf rogue Varric Tethras (with Bianca); and Morrigan, Witch of the Wilds. Each 2-inch Minimate mini-figure features 10-14 points of articulation and interchangeable parts. The mightily muscled Russian mutant, Colossus, makes his Marvel Select debut in all his oversized glory! Based on the iconic heart and soul of so many X-Men teams, the metal-skinned mutant comes with the classic robotic vise Danger Room obstacle, in scale with all previous Danger Room accessories! Colossus includes Marvel Select's standard 16 points of articulation and measures over 8" in height. You can combine Colossus' base with those of Gambit and Cyclops (each sold separately) to form a Danger Room diorama! The most popular super hero in the world is swinging into a neighborhood near you thanks to this unstoppable Marvel Select Spider-Man! Each Marvel Select figure stands over seven inches tall and features multiple points of articulation, plus a deluxe display base. This classic Spider-Man is perfect for any collection or the casual Spider-Fan!